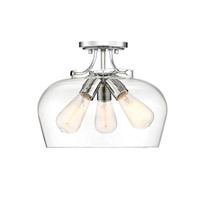 Combines the elegance of a chandelier with the functionality of a ceiling fan. 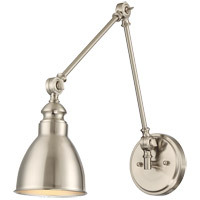 Satin Nickel finish and UL Damp Location rated. 12 question(s) from the community have been answered. Q What radius of space does this fan cool? A The Savoy House Sea Side Fan d Lier 14-325-FD-SN has a 2373 Max CFM and a 1361 Min CFM. A The Savoy House Sea Side Fan d Lier 14-325-FD-SN has a 14" diameter. Q Can I cut 2" off the downrod? The downrod for the Savoy House Sea Side Fan d Lier 14-325-FD-SN is field cuttable, however, you would also have to re-drill the holes on the end for the cotter pen connections. 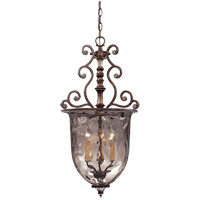 Q What is the total height with a flush mount. 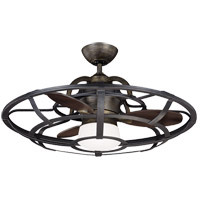 A The Savoy House Sea Side Fan d Lier 14-325-FD-SN is 16.3" high from top to bottom. 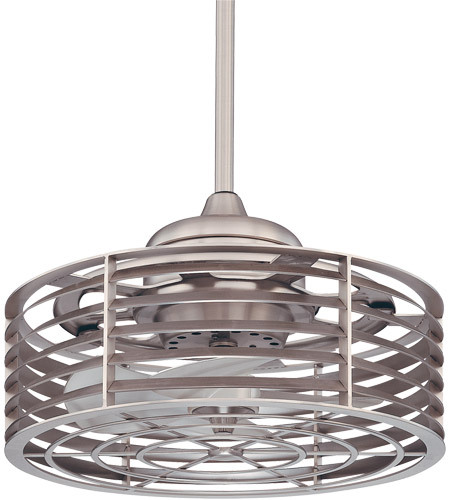 Q Does this ceiling fan have a light kit? Does it have a hugger capability (I only have 8' ceilings)? 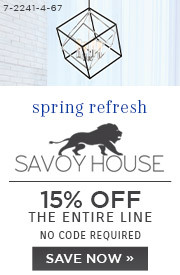 A The Savoy House Sea Side Fan d Lier 14-325-FD-SN does not have a compatible light kit. 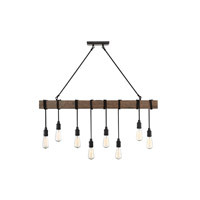 Q Is a light kit available? Q Does this come with a hugger attachment and if not, can I buy one? 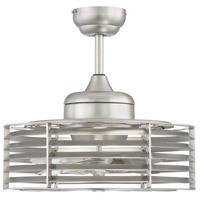 A The Savoy House Sea Side Fan d Lier in Satin Nickel 14-325-FD-SN comes with dual mounting system: Downrod and Hugger. Q Is a light kit available? If so, what is the cost and how can I see an image of it? Also, what is the length from the ceiling to the bottom? 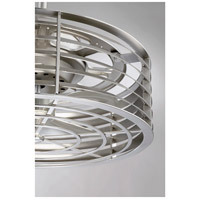 A Unfortunately, the Savoy House Sea Side Fan d Lier in Satin Nickel 14-325-FD-SN is not compatible with a light kit. 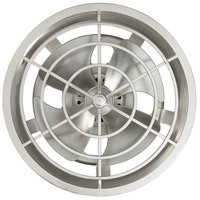 The total height of the fan is 16.3" with a 6" downrod. Q Does it have a reverse switch? 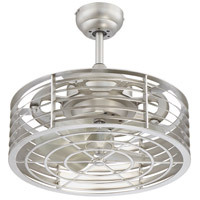 A The Savoy House Sea Side use Seaside Outdoor Fan d Lier 14-325-FD-SN has a 3-speed reversible motor. The reverse switch is located on the motor housing above the fan cage. Q What is the diameter of the ceiling canopy? 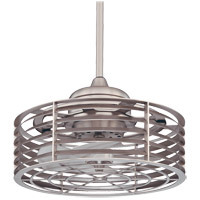 A The Savoy House Sea Side use Seaside Outdoor Fan d Lier 14-325-FD-SN ceiling canopy is 5.25" in diameter and 2.25" high. Q What is the noise level for each speed? If the noise generated similar to a quality ceiling fan or a box fan? A The Savoy House Sea Side use Seaside Outdoor Fan d Lier 14-325-FD-SN has the following RPM information: 90AL Motor, RPM: Low - 679 / High - 1091. Although we cannot provide exact noise generated information we can advise that the Savoy House 14-325-FD-SN can be compared to a high quality ceiling fan. Q Can this fan be used with a wall switch? If so, which one? Thank you! 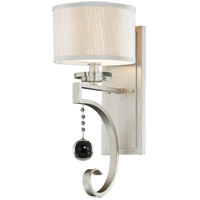 A The Savoy House Sea Side Fandelier 14-325-FD-SN is not compatiable with a wall switch.